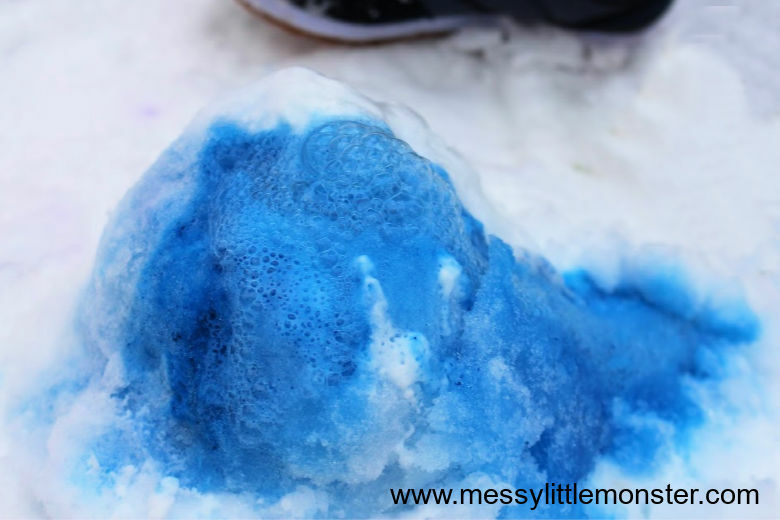 If you are looking for fun winter activities for toddlers, preschoolers and older kids too, this snow volcano science experiment is PERFECT to do outside in the snow! 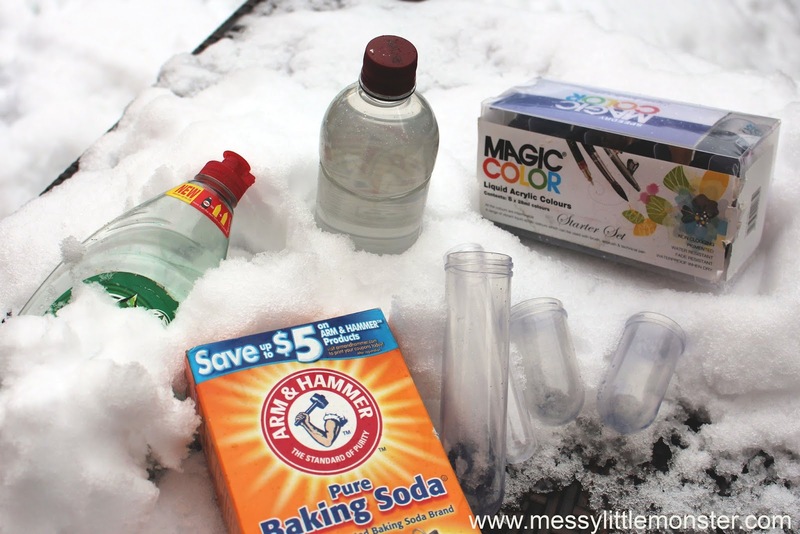 Kids of all ages will love the excitement of building volcanoes from snow and then making a baking soda and vinegar volcano eruption! Just scroll down below to see how to make a snow volcano from simple supplies that you probably already have at home! 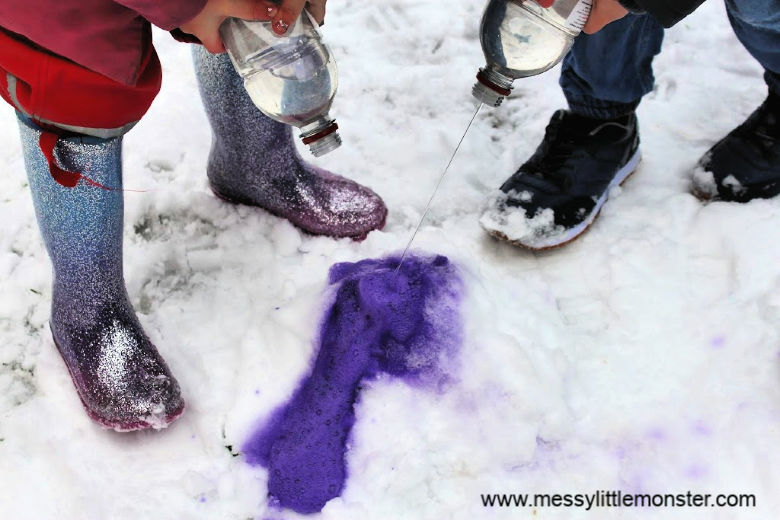 Snow activities for kids are always fun! 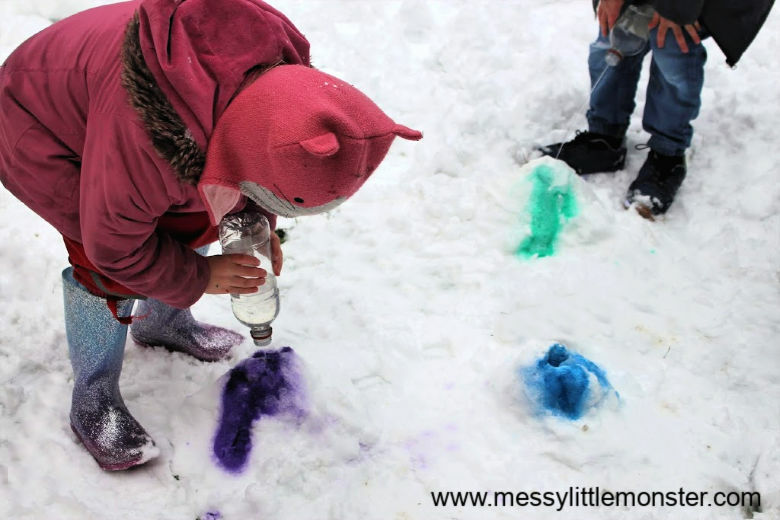 As well as making a snow volcano you might like to try painting on snow, making snow paint, or if the kids get cold bring some snow inside. Have you tried many baking soda science experiments? 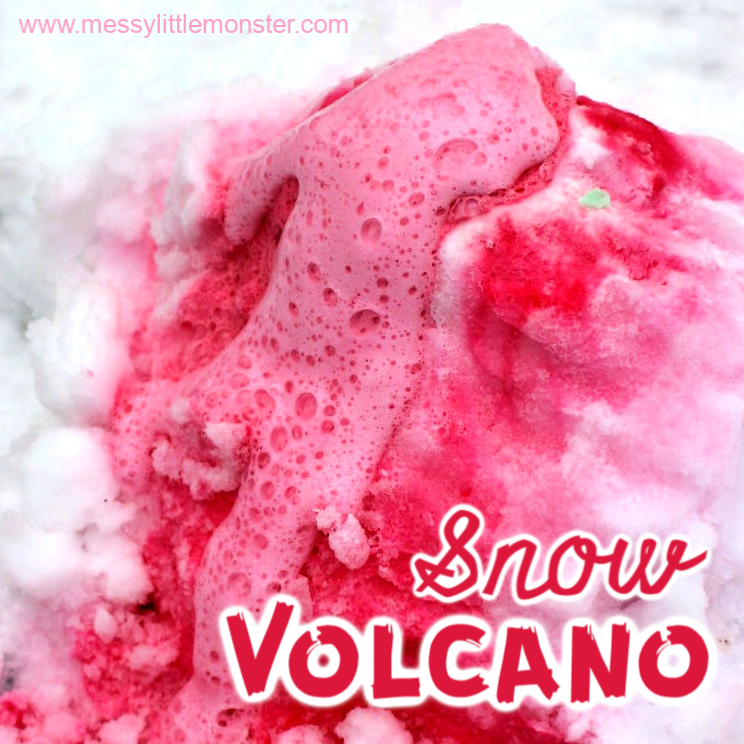 They are always fun and this snow volcano is extra fun as it involves playing in the snow! 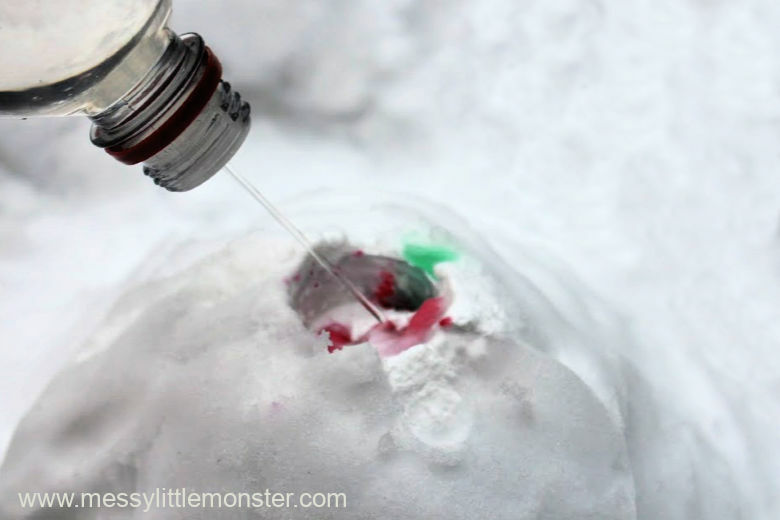 Kids will totally love watching their snow volcanoes erupt and they will want to do this cool science experiment again and again! 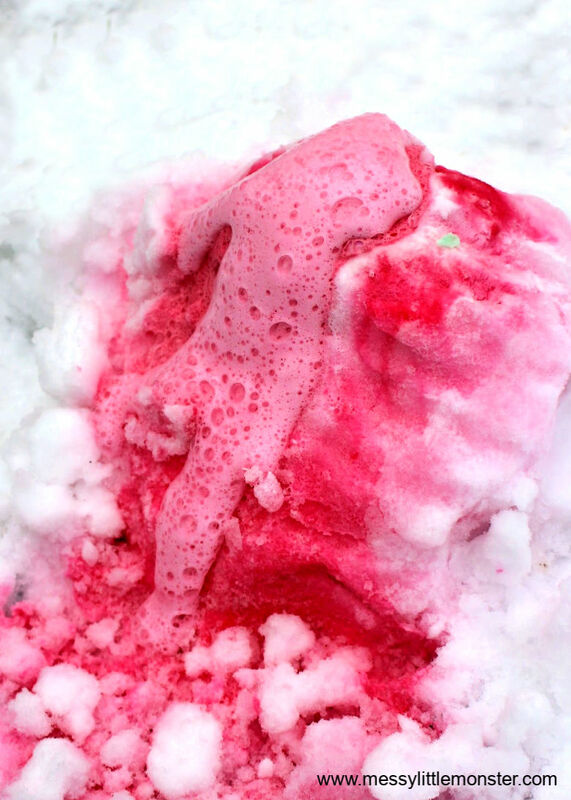 See this snow volcano science experiment in action! 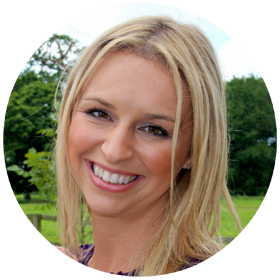 I've supplied links to Amazon for easy purchasing! Just click the links below to be taken to the product pages. 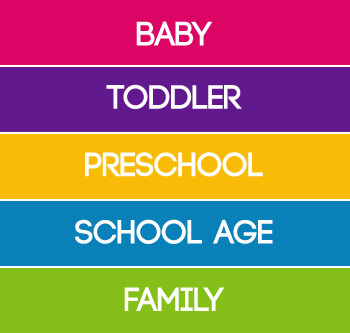 As an Amazon Associate if you use the links I will earn from qualifying purchases at no extra cost to you. Thank you for supporting our work. Before heading out into the snow make sure you have all your supplies ready. This science experiment is so much fun that the kids will want to do it again and again. I'd recommend having lots of baking soda and vinegar ready! STEP 2: Build a snow volcano! 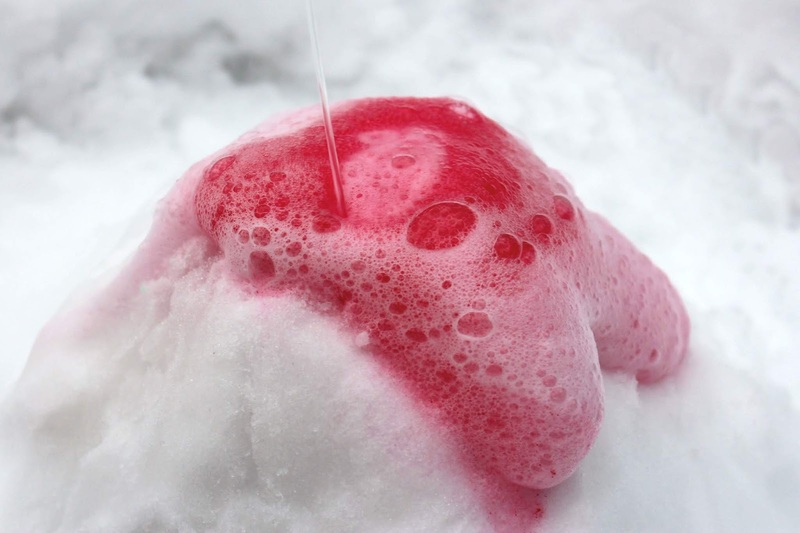 Before you can start this fun snow volcano science experiment you need to build a volcano from snow. Pile some snow into a volcano shape and secure a small tube (or bottle) in the centre of it. 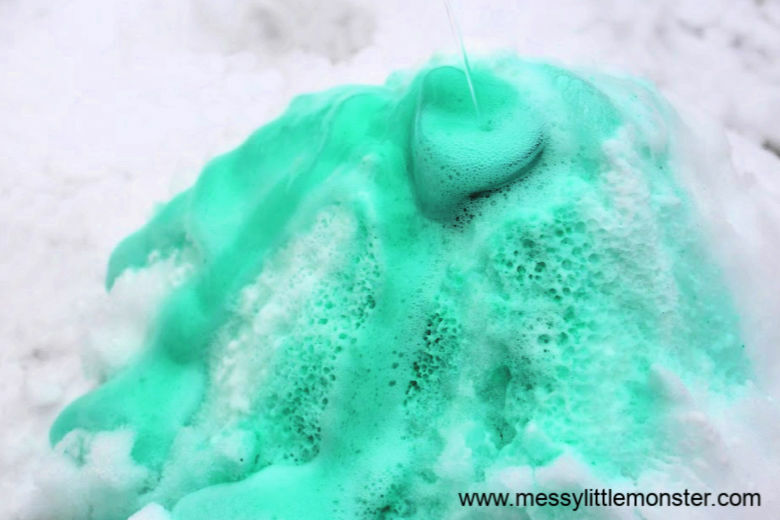 Fill the tube with a drop of washing up liquid (dish soap), lots of baking soda and a couple of drops of colouring. Now you have your snow volcano set up the fun begins! Take a bottle of white vinegar and squirt it into the tube filled with baking soda. As the vinegar reacts with the baking soda your volcano will erupt! The washing up liquid makes the volcano eruptions extra foamy. Don't stop at making just one snow volcano, make a whole collection of snow volcanoes! We chose to add a different colour to each of our volcanoes. We had so much fun squirting the volcanoes with vinegar and watching the colours erupt. 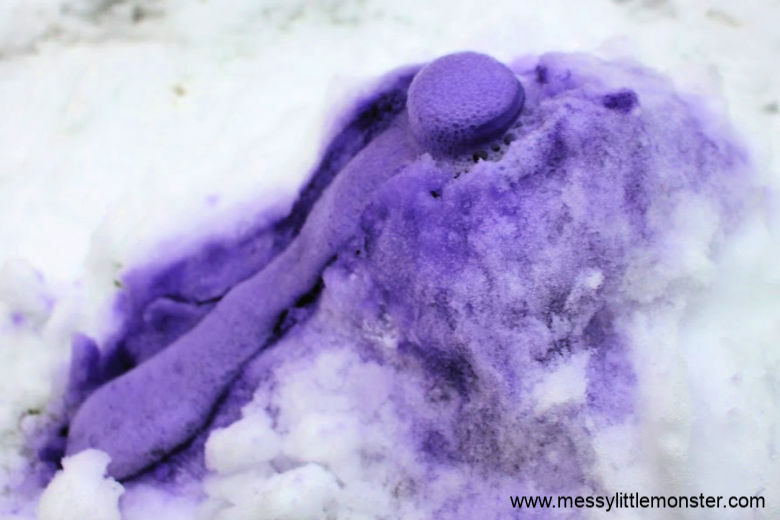 You are going to have so much fun with this snow volcano science experiment! I think my two could have made baking soda and vinegar volcoanoes all day! If you want to try more baking soda science experiments take a look at our fizzy rainbow and our exploding magic potions for kids. So, if you have snow right now make the most of it with this fun snow volcano science experiment. If not, save this fun idea for when you do! Honestly, kids of all ages from toddlers and preschoolers up to much older kids will love making a baking soda and vinegar volcano. We would love you to share with us any photos if you make your own snow volcano!